Coconut oil can and should replace all of your non-stick cooking sprays. The reason being, cooking sprays are heavily laden with highly processed and nonfood ingredients, which you can read about here. For general use, (you can use a pastry brush or your fingers) spread a very thin layer of coconut oil to coat your baking dish before using. The amount needed will vary depending on what is being made. Generally, the recipes will indicate how well greased the baking dish or pan will need to be. If more insurance is needed for the baked goods not sticking to baking dishes, try the flour method: after the baking vessel has been greased, add 1 tablespoon of the flour of your choice and “dust” the entire dish by swirling and tapping until the flour has coated the entire surface. Tap out the excess flour and proceed as usual. This method is most often used for batter-based recipes with a high tendency to stick, such as cakes and quick breads. If you are allergic to dairy, coconut oil can also act as a decent butter substitute. But if you’re not allergic to dairy, just eat butter. Butter is good. Swapping out butter for coconut oil is fairly straightforward for most recipes. The main issue in the butter and coconut oil swap would be the fact that butter is a “water-in-oil emulsion” and is made up of butterfat, milk proteins and water. 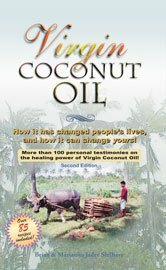 Coconut oil at the most will have a .1% total amount of H2O, and thus the way these two fats act in many recipes will vary. In order to mimic a more butter-like quality, try adding 1/2-1 teaspoon of water per 1/2 cup of coconut oil used in any recipe that usually requires butter. If you think avoiding suspicious non-food ingredients and experimenting with a new, fun ingredient in baked goods sounds like a good idea, give coconut oil a try. 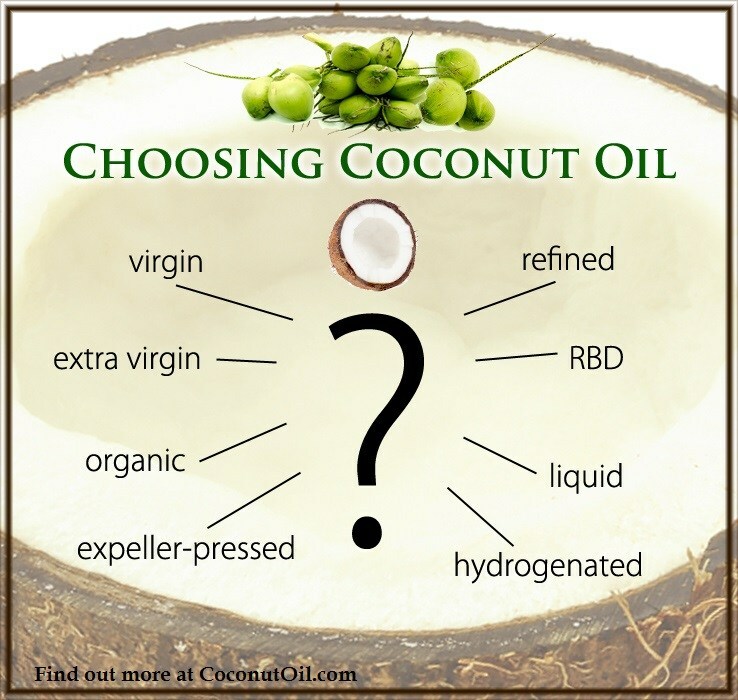 Whether you use it in baking as a natural non-stick product or as a shortening and/or flavoring, coconut oil is an easy and very versatile product to use. Give the recipes below a try to see and taste for yourself how well coconut oil can work in baked goods. Combine virgin coconut oil and honey. Stir in eggs and milk. Sift together the flours, baking powder, baking soda, salt, cinnamon and nutmeg. Combine flour mixture with honey mixture. 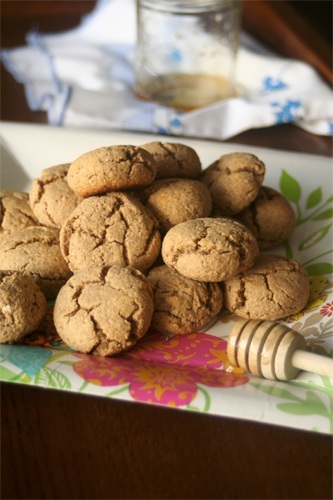 Place by teaspoonfuls on a greased baking sheet. Bake 12 minutes (or until golden brown underneath cookie). Allow to cool before serving. This makes a delicious, flakey pastry and I have had many favorable comments on it. 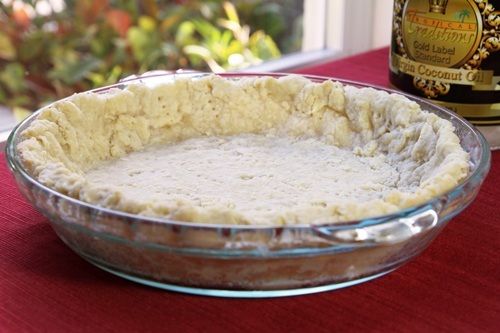 Cut the coconut oil and butter into the flour and salt with pastry blender or two knives. Add the water 1 tablespoon at a time and mix well. Roll out on floured board. Pastry is very tender and may be partially rolled around rolling pin for ease of picking up to place in pie pan.